We have been serialising some of the history of The Heath House and last time we talked about the new Heath House that was built by Joanna and Burton Philips and filled with artefacts and paintings from their travels around the world. Two generations later, Lucy Madeline Martin married John Burton Henry Philips and it was now that the gardens and grounds at The Heath House began to take shape – which we enjoy to this day especially in the Autumn with it’s wealth of gorgeous colours. 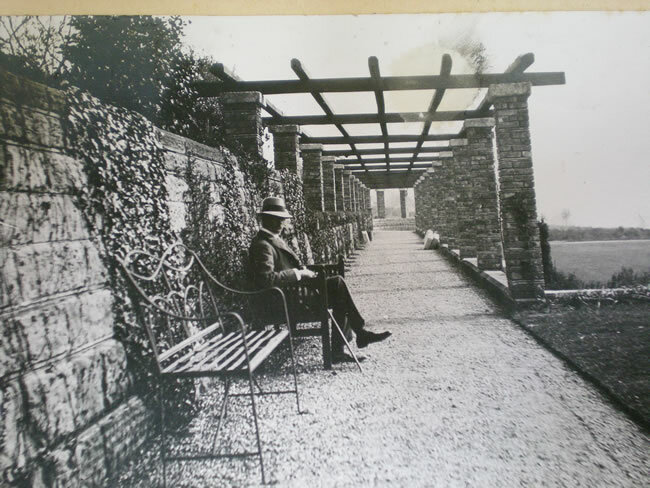 Lucy was a passionate gardener and introduced the formal gardens and new pergola and terracing. At the height of the transformation of the grounds, Lucy employed 8 gardeners to help her realise her vision. These gardens and grounds are the centrepiece of many of the weddings we host today including the formal gardens in front of the Orangery and the terracing and pergola that stretch out to lawns in front of the house. This area has been grass tennis courts and ideal for croquet but Lucy may never have imagined that this area of the garden would make a great landing area for our guests who arrive by helicopter.